DJ Revy-B gives us an exclusive mix for this episode of SeratoCast with the 2nd volume of her mix series Rhythm and Afro. 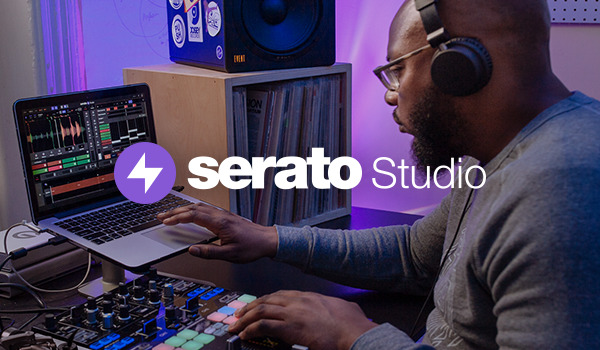 Listen through for the first 100% Afrobeats mix on SeratoCast. Check out the tracklist below. An exclusive mix by fast-rising Toronto-based DJ Revy B, “Rhythm and Afro Vol. 2” is a fitting audio testament to her West African heritage and her love of American R&B. The mix explores the mellow side of Afrobeats and artfully blends in splashes of R&B from Miguel and SZA. Music from Afrobeats megastars like WizKid and Davido sits side by side with emerging artists like Nonso Amadi, Cheeso and Amina. In a genre with relatively sparse female representation, Revy B highlights a refreshing selection of female talent in celebration of International Women’s Month: Marquee artists like Tiwa Savage and Yemi Alade share space exciting singer/songwriter/producerwunderkinds like East London’s Nao and Simi from Lagos, Nigeria. The mix would not be complete without shining a highlight on hometown Toronto talent such as South African soul crooner Zaki Ibrahim and Roy Woods from Drake's OVO camp. Clocking in at just over 1 hour, DJ Revy B manages to squeeze in over 50 tracks with a quick-mix style honed from countless hours rocking clubs and block parties in Toronto and beyond.